THIS is a condensed softback version of a book produced by Ben Brooksbank 20 years ago, and has the added attraction of several new photographs. As an admirer of the original work, author Peter Tuffrey, whose books on local history are especially well-known in the Yorkshire area, offered to produce what he describes as a ‘minimally condensed rewrite’ for a different firm of publishers. 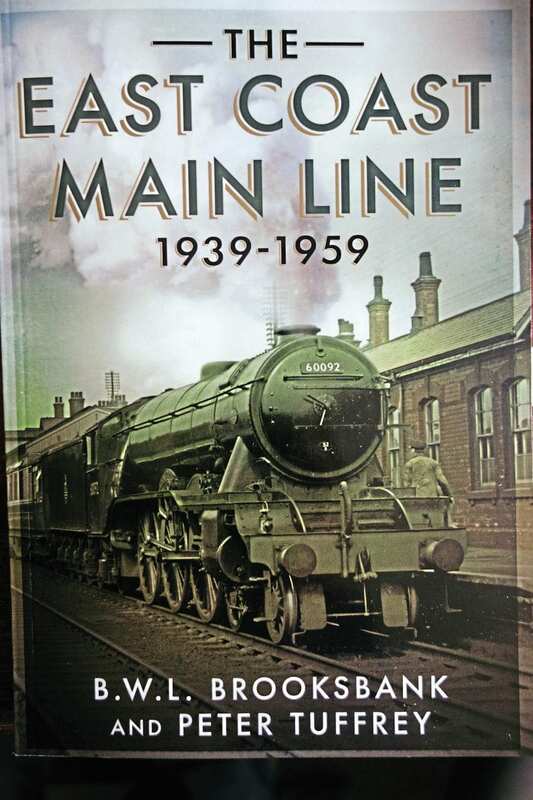 The result is a useful overview of East Coast Main Line operation during the Second World War and the first decade or so of Nationalisation. In addition to a scene-setting chapter placing the work into its historical context, there are sections on passenger and freight services, and another dealing with restaurant, Pullman, sleeping car, postal and Royal trains. The book is unusual in having no fewer than nine appendices, a couple of which are as long and detailed as chapters. These cover such subjects as military establishments served by the ECML, wartime locomotive workings, accidents, snow and floods, and the impact of the air war on the line. Although the casual enthusiast will encounter a fair amount of business-related economic facts and figures in the text, the story is well-written and informative, and describes particularly well the almost unbelievably vast scale of the Allied war effort, especially after the Americans entered the war in 1942. The book also reminds us that in the late-1950s, BR began upgrading the Oxford to Cambridge route via Sandy as a ‘bypass around London’, only to abandon the scheme prematurely. Fonthill Media, Russell Street, Stroud, GL5 3AN; Softback; 220 pages; 245x174mm; ISBN 978-1-78155-551-4; £18.99. More Reviews, Letters, Opinion and News in October’s issue of The RM – on sale now!